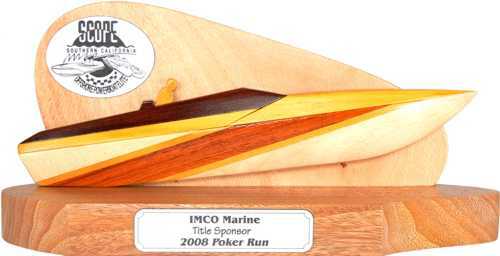 Made as thank you trophies for this Californian Power Boat charity run. Even the most complex club logos can be duplicated on brass or silver like plaques. 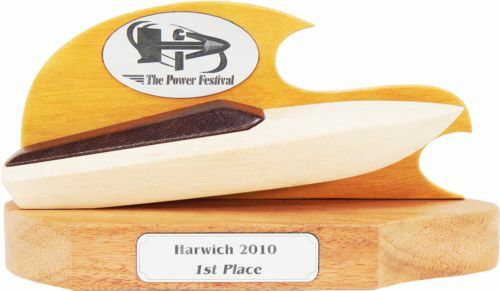 A simpler style power boat trophy. Made for a Queensland yacht club also has a motor boat division. 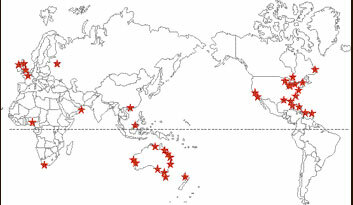 Most styles of motor yachts can be duplicated in timber. Please feel free to contact us for your particular needs. 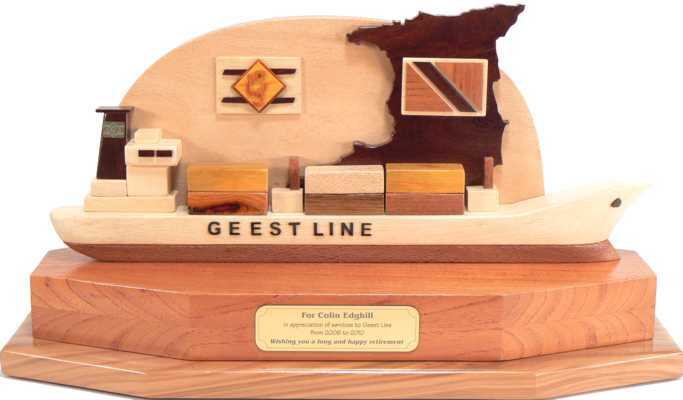 If you’ve been in the shipping business all your working life what better gift could you want to receive on your retirement? That’s a map of the Dominican Republic in the background with a portrayal of the countries flag. Including the Sisserou Parrot in the centre of the flag. Not so much a power boat, more a container ship. 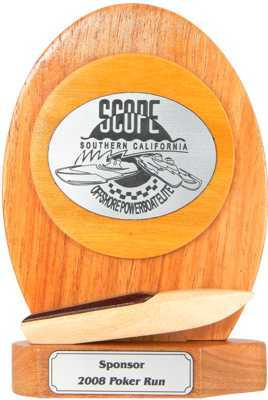 A simple trophy that still depicts speed and the ocean. That’s a map of Trinidad in the background with a portrayal of the countries flag. 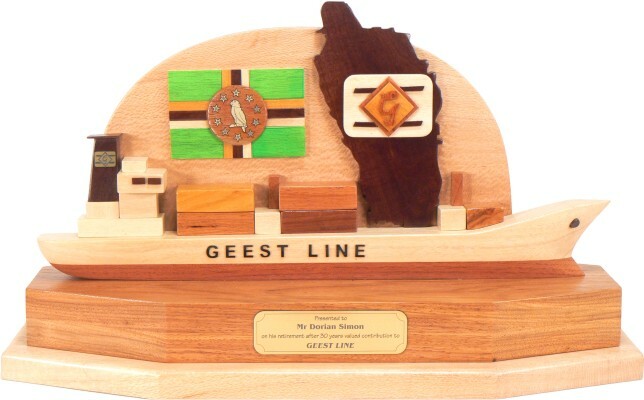 And the Geest Line logo crafted from natural colour timbers.